While Shaw didn’t name any specific companies, there’s a decent-sized list that could fit that government-backed, lack of success, bill. For example, biofuels company Range Fuels reportedly is shutting down its plant in Georgia after making just one batch of ethanol, and after having received a DOE grant and a USDA loan guarantee. Shaw thinks the best endorsement of whether an early stage green technology is real or not is if a real company has endorsed that technology. ” If I was running DOE, I would wait until I could see some significant interaction with industry,” before he supported a company, said Shaw. It’s not for a VC to tell Royal Dutch Shell, ‘you should buy this fuel molecule.’ What the hell does a VC know about fuel molecules? The difference between the VC approach and what Shaw says Codexis has done, is pretty simple. 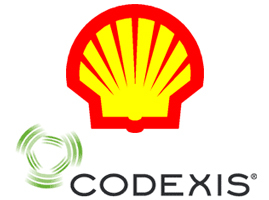 Codexis has taken strategic investors (Shell), and used what Shaw calls “big brother,” to grow the company. VCs, in comparison, largely opt to “go it alone,” explained Shaw, and can easily get burned in the process. To be sure, Codexis won’t be commercializing its technology for another 4 to 5 years. The company, which had its IPO almost a year ago, is focusing on both providing its enzymes for cellulosic biomass production (breaking down biomass into sugar, that a company can then make into ethanol), and also bio-based chemicals, like more sustainable chemicals for products like shampoo. Shaw says that by the end of the year, Codexis will announce a major partner for its bio-based chemicals production. Codexis’ stock is down a bit from its IPO debut of a year ago. The company set final pricing for its IPO on the low end, at just $13 per share for a total of $78 million, and is trading at close to $11 most recently. Shaw says that’s because he’s not actively pumping up the stock. Alan Shaw is wrong! DOE should continue to invest in startups. However, it should suspend the Pay-To-Play Rules and recognize true innovators who don’t have or were rejected by DOE for being too innovative, which does not fit within bureaucratic way of doing things. Competition hates innovation and hates any attempt by the US Government to assist new companies. It’s not enough for President Obama to give DOE billions of dollars and the the Secretary refuses to fund applicants, yet doesn’t spend the money. Companies like Allen Hydro Energy Corporation http://wbsinccd.tripod.com/ahec can not be ignored by DOE and The White House for ever. DOE should be seeking innovation, rather than waiting for it to apply in an effort to get Americans back to work. Leadership is about solutions, not excuses.